The Huawei P30 and Huawei P30 Pro launch today – possibly you've heard? Last week, a misplaced retail page/leak strongly suggested Huawei was lining up a rather special, Sonos-based inducement to lure customers away from the likes of the Samsung S10 and Apple iPhone XS: a free Sonos One – and not the old one, the new Gen 2 Sonos One, with Bluetooth and a faster processor. It's worth £199 and it won a T3 Award in 2018. EE will ‘range’ the newly announced Huawei P30 and P30 Pro devices – the P30 is available from £39 per month and the P30 Pro from £49 per month – with pre-order now open at EE's pre-order page. 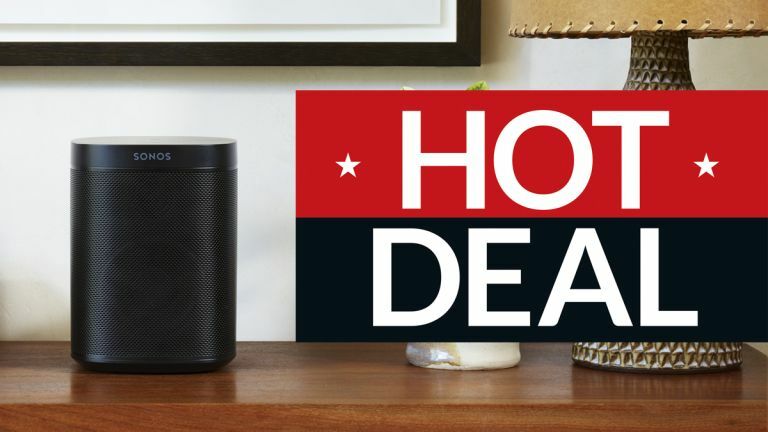 • A similar Sonos/P30 deal is now live at Vodafone. In summary: if you pre-order the P30 or P30 Pro by 11:59pm on April 4, you will later receive a free Sonos One (RRP £199). Each link has details on how to redeem the offer and you can also read up on Huawei's promo site. Our Huawei P30 early verdict is that it's one of the best Android phones you can buy, as is the Huawei P30 Pro, while the Sonos One is certainly the best smart speaker in its price bracket. We initially assumed that these would be older stocks of the first-gen Sonos One but it turns out to be the Gen 2. If you're shopping for an upgrade, this deal makes either of the Huawei P30 phones very tempting. The Sonos One is an excellent audio, multi-room speaker, and the addition of Amazon Alexa only makes it more desirable. It's very keenly priced at £200 but at the £0.00 you're paying here (admittedly you do have to shell out for a phone to get this), it's really keenly priced. You only have till 23:59 on April 4, so the window of opportunity is narrow. For whatever reason, you also can't redeem the deal until April 18 and will need to do so before June 2.